San Antonio and Bexar County celebrated the start of the San Pedro Creek Improvements Project at a groundbreaking Thursday night. Hundreds showed up to learn more about the creek’s future—and its past. Bexar County Judge Nelson Wolff told the crowd that the $175-million-dollar creek improvement effort would be among the greatest and most difficult projects taken on by this commissioner’s court. District 1 Councilman Roberto Trevino explained how the waterway’s role in San Antonio has changed over time. The kickoff event was held on the football field at Fox Tech High School. Jerry Martinez graduated from the school 35 years ago. He has fond memories of jogging along San Pedro Creek as a cross-country runner. Performances by San Antonio Independent School District mariachis and American Indians in Texas Dance Theater were part of Thursday’s festivities. The highlight of the event was the premiere of the first act of Las Fundaciones de Bejar, an opera about the history of San Pedro Creek commissioned by Bexar County. 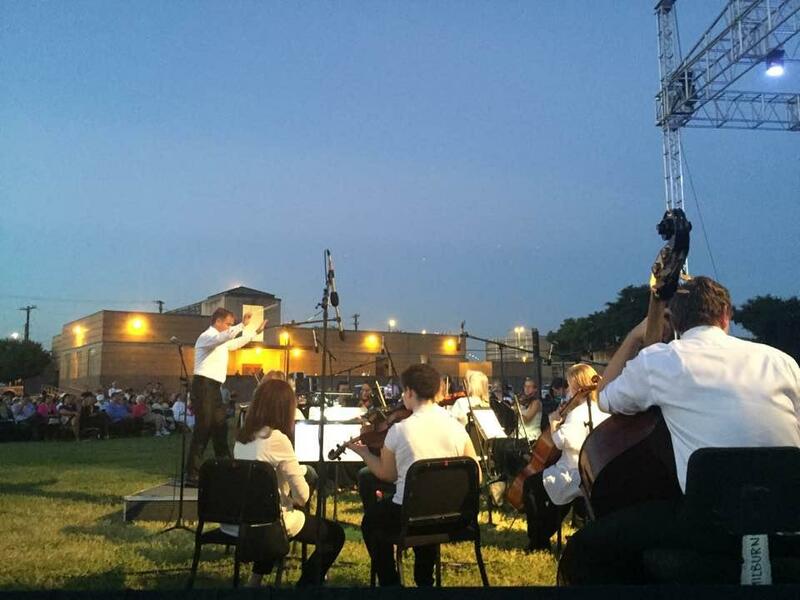 Bexar County commissioned the opera for at least $160,000. Act 1 was performed Thursday. The county spent at least $160,000 on the opus, composed by Joseph Julian Gonzales and written by San Antonio native John Philip Santos. Opera San Antonio, Alamo City Opera, Ballet San Antonio and other groups delivered the 30-minute performance. The improvement project will turn what is now a concrete drainage ditch in a neglected part of downtown into a linear pedestrian park with 11 acres of landscaped areas and 4 walkways. Public art and historical information will be included in the design. The San Antonio Symphony performs Las Funciones de Bejar. The project will be completed in four phases, the first of which is expected to be complete in time for San Antonio’s 300th birthday in May 2018. While it’s not much to look at now, San Pedro Creek cleaned up nice for its big night. 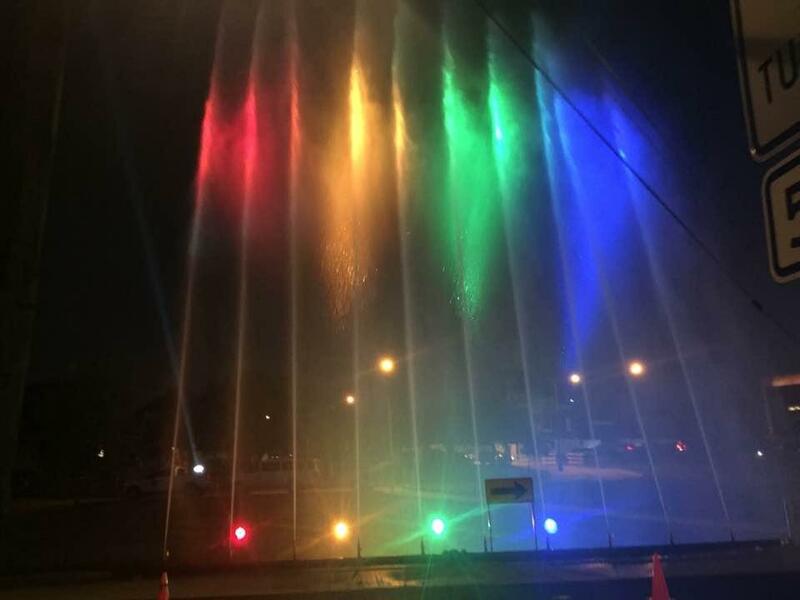 As performers gave their final bows, San Antonio River Authority workers sent a row of geysers soaring from the creek into the night sky, lit by rainbow spotlights. The grand finale of Thursday's San Pedro Creek Improvements Project phase one groundbreaking.